Mikael Nalbandian was a 19th century Armenian poet with strong political views on Utopian socialism and revolutionary democracy. During his short lifetime he was considered one of his country’s prominent writers and the words from one his poems, Song of an Italian Girl, were adapted for Armenia’s national anthem, Mer Heyrenik. He was born Mikhail Lazarevich Nalbandov on the 14th November 1829 in Nizhnii Nakhichevan, which is now in the region known as Rostov-on-Don. It was a simple home life, his father an artisan handicraftsman, and there was little opportunity for the boy to obtain a formal education. He read books, teaching himself much about literature and grew up with thoughts of becoming a priest. This was abandoned in favour of medical training at Moscow University around the years 1854 to 1858 but his overriding ambition was to become a writer. In collaboration with a publisher and historian named Stepanos Nazaryan he set up a publication called Aurora Borealis (Hyusisapayl) and began to write about his political leanings and ideologies. He was able to travel throughout Europe and was heavily influenced by what he found in places like London, Warsaw and Paris. He ventured east to India and, while in Constantinople, he formed the Party of the Young which contained fellow revolutionaries. In London he associated with the likes of M A Bakunin and Alexander Herzen who, amongst many others, saw the possibility of a utopian society in their homeland under the banner What the People Need. 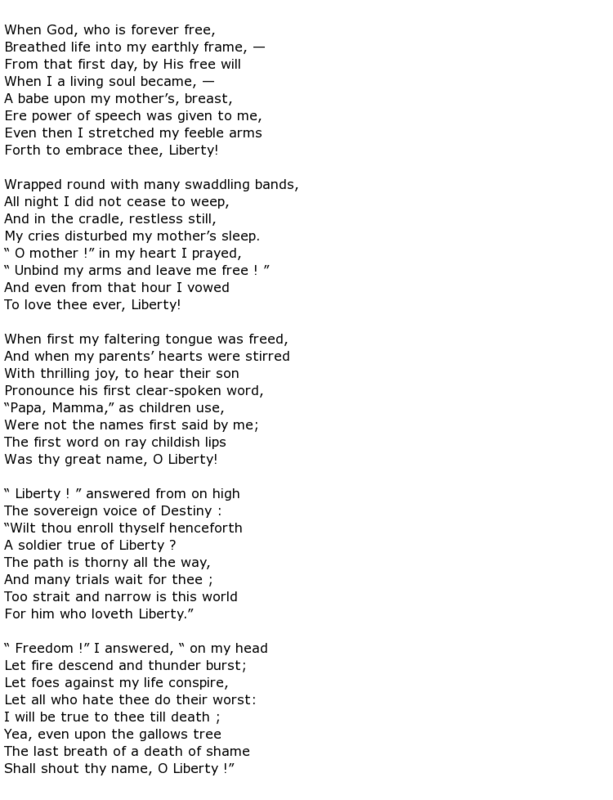 Poems like this, along with many articles and papers that were distributed secretly, were considered to be anti-government propaganda and the liberty that Nalbandian wrote so passionately about was denied him for the rest of his life. He had hoped to galvanise his fellow Armenians into standing up for themselves against Russia but, ultimately, he failed in the act. His extensive travels had educated him well, encouraging him to develop a deep interest in economics, philosophy and pedagogy. Besides his own literary output he translated works by the likes of Heinrich Heine and Alexander Pushkin along with other great poets of that time. 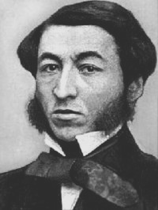 Mikael Nalbandian died in prison on the 12th April 1866 aged 36 from the effects of tuberculosis.